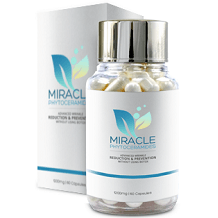 Miracle Phytoceramides is a dietary supplement which the manufacturer says helps to fight signs of skin aging. Dubbed “facelift in a bottle,” it supposedly helps to restore skin barrier and promote skin hydration. The skincare product works from within to plump up your skin for a fuller, smoother feel and is said to reduce the appearance of fine lines and wrinkles. The product is also touted because, unlike topical skin treatments, it is an oral supplement that works from the inside. Is this the skin “miracle” you are hoping for? Learn more in our Miracle Phytoceramides review below. The main ingredient in this anti-skin aging supplement is phytoceramides at 350mg per capsule. These are basically the same as ceramides or natural lipids present in the skin. They help to keep your skin plump and hydrated. As people grow older, ceramide levels drop, leading to signs of skin aging such as wrinkles. Miracle Phytoceramides helps to restore levels with ceramides from plant sources. It is also intended to enhance collagen production in the body. The supplement also features known antioxidants such as Vitamins A, C, D and E.
Strangely, there is no information on the amount of Miracle Phytoceramides you should to take daily. So guesswork will be needed on that score. It is possible users are to take one capsule a day, considering there are 30 capsules in a bottle and most often supplements are packaged to last a month. But there’s no way to know for sure. Not knowing the precise dose of a health supplement is a risk. 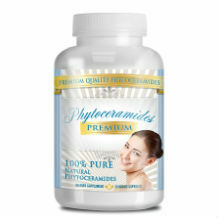 The price of a bottle of Miracle Phytoceramides was $35 on Amazon at the time of our review. This is cheaper than the amount buyers had to pay in the past for the supplement. It used to be $53.98 when purchasing via the maker’s website but, at the time of writing the company was no longer accepting new orders for its products, which is certainly a concern. Miracle Phytoceramides used to offer a 30-day money back guarantee on this supplement. But now that the company no longer accepts new orders, you may as well not expect to benefit from that. You stand at risk of losing your money when buying a product that may not offer a refund. So is this product the miracle anti-wrinkle solution? In our own opinion, Miracle Phytoceramides is might at one time have been an OK product for reducing fine lines and wrinkles. It contains natural ingredients, including antioxidants, which could be effective. However, on the basis of what we observed, this doesn’t look like the magical treatment you may be searching for. The manufacturer did not provide sufficient information on each ingredients used nor, for some reason did it see fit to provide clear dosage information. This is a serious concern for a health product. And then there’s the red flag the company itself is waving in not accepting any more orders directly. This is a sign of a company that may not be around for long. We think you’re better off looking elsewhere for phytoceramides.